Mrs. Shapard’s second graders have been learning all about weather. When she mentioned that to me, I suggested taking what the students had learned to create some type of an “ABC Weather” project. 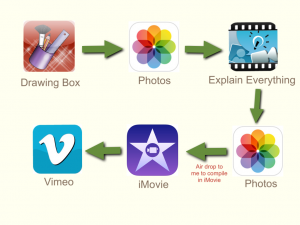 We brainstormed different ways to do this and ultimately decided to create a video using the Drawing Box and Explain Everything apps on the iPad minis. The students were assigned a letter (or 2) and then did some research. Sometimes you really have to stretch to come up with ideas for a few of the more obscure letters! The first step was to illustrate the letter chosen. I like the Drawing Box app and much prefer the paid version as it has so many more tools. Almost everyone finished in a 40 minute session. Drawings were saved to the camera roll (Photos) for the following step. Next, we had to import the pictures to Explain Everything. Since this was the first time the students had used the app, I went over the tools and gave them some practice time before we continued with their weather project. After a few minutes, they were ready to begin. The students tapped on the + to begin a new project. They were guided through the process of inserting the picture and setting it as the background (so it wouldn’t move around). Then the recording began! This part took longer than expected – not because the technology was a problem but because it was difficult to find quiet places to record. And, for some, absolute perfection was desired so any tiny mistake called for a do-over! After recording, the video was saved to the camera roll and air dropped to me. The students and I LOVE air drop! So quick and easy. But, the students weren’t finished! “What about making an eBook?” announced one child, then another and another! 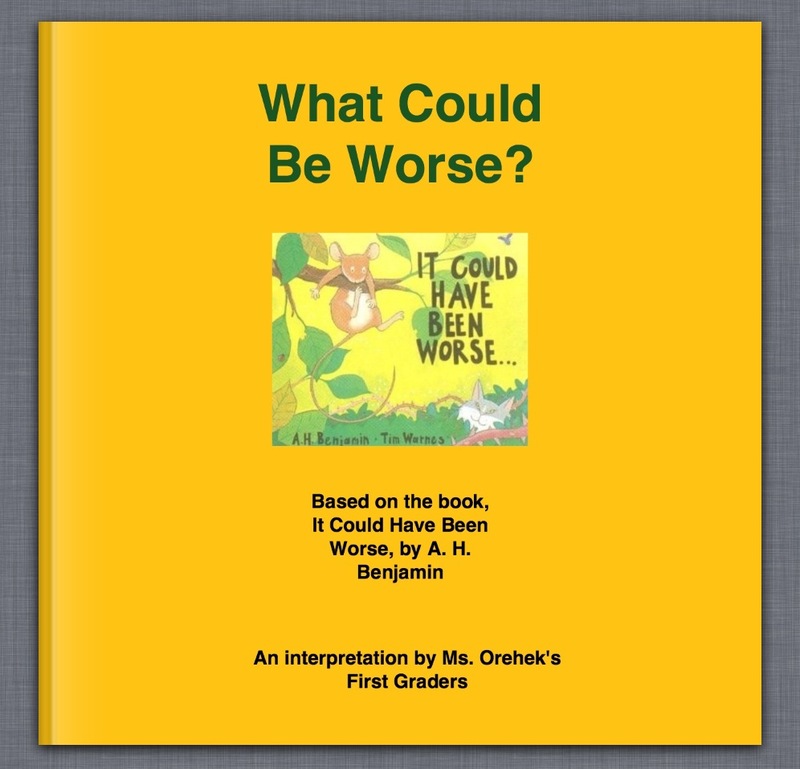 So, we now have a video AND an ePub book made with the Book Creator app. Yes, it’s the same information but the students were excited to share their work in different formats. All students chose the square format (necessary for all to be same size if combining books), added their picture, changed the background, recorded their narration, and emailed the book to me. From there it was easy to combine all the books (absolutely LOVE that feature of Book Creator). Click below to read the ePub book on your iOS device or with the Google Chrome browser. It doesn’t snow much in Texas – our last major blast of winter weather resulted in the worst ice storm this area has had in many years. Unfortunately, you can not build a snow man from ice! Looks like snow but it was thick, slick, solid ice! What surprised me is that their were several students who had never built a real snowman! 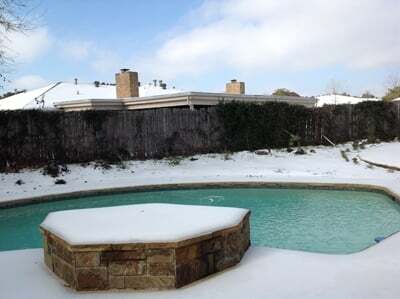 But, if you don’t travel to snowy places, you often have to wait several years before we have enough snow in Texas to build even a miniature snowman! After the snow people were finished, I uploaded the illustrations to animoto. Enjoy the videos. Two of our second grade teachers wanted to take the project a step further by incorporating writing. They had their students write cinquain poems which they copied into the Book Creator app. (As a side note, this is an AWESOME app and super easy to use!). Since the pictures had been drawn on computers, I had to upload them to my Picasa account so that the students could save the image to the iPad. They had no problems at all doing this. 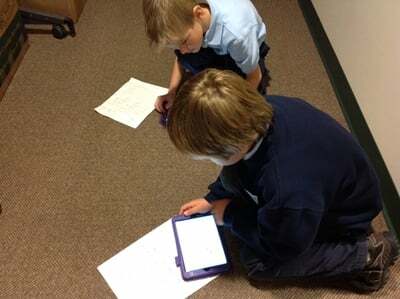 Once the pictures and text were in the app, each student recorded their poem, then emailed it to me. 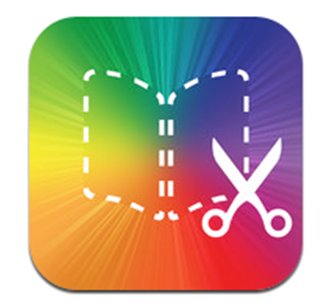 One of the best features of Book Creator is that books can be combined if they are created in the same format. We chose landscape for this project. All of the individual books were then easily combined into one book. I did have to delete some blank pages – quick and easy though. Finally the books were uploaded to DropBox – ready to share. Directions for reading the books on your iOS device or through the Google Chrome browser are listed below. I asked the second graders to brainstorm some of the activities of their year. And of course . . . who can omit recess or P.E.?? The next step was to illustrate their favorite (or in some cases, favorites) activity from their second grade year. For us, Microsoft’s Paint program is a good drawing tool. We use it quite a bit and the students are very comfortable with it. 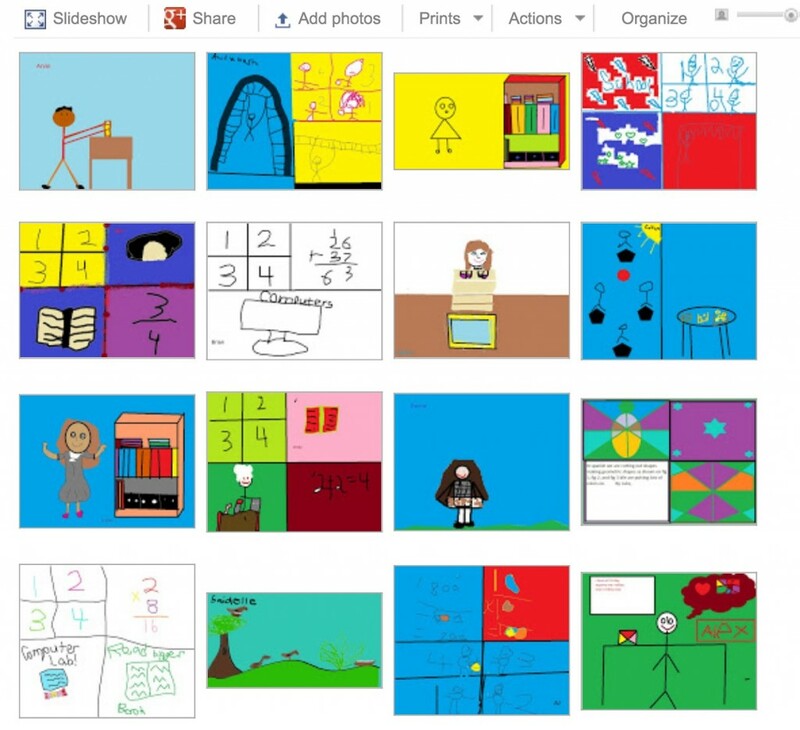 Since we were making a class book, I pulled in all the pictures to the Book Creator app (uploaded the drawings to my Picasa web album account and saved them to Photos) on my iPad. Then the students recorded their narration. I really like the ability to bring in short video clips to Book Creator so we added a brief whole-class shot. If you are on an iOS device (iPhone, iPad, etc) and you have iBooks installed, tap on a link below. The Book Creator for iPad app is one of the very best apps I’ve seen for inspiring creativity. We’ve used it to create all kinds of ePub books that have been shared with parents. 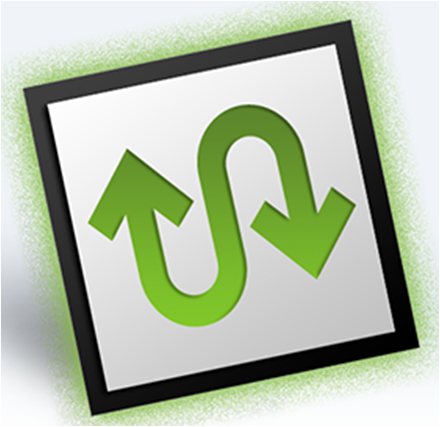 RedJumper, the app designer, has done an incredible job of updating and adding new features. So I was absolutely thrilled when version 2.5 came out and I discovered that the books created in Book Creator could now be read in the Google Chrome Browser! All it takes is downloading the Readium app from the Chrome App store and ePub books can then be read on a Mac or PC. This is huge! Many of our families have iOS devices, but not all – now ALL families have the capability of reading their child’s work. Download the ePub book to your computer. Click on the book’s link and choose download. Open the Readium app. Click on the + sign (top right). 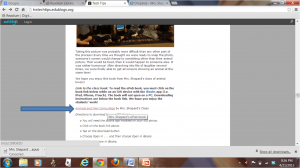 Choose local file and find where you have saved the ePub book file. Then click on Add Book. 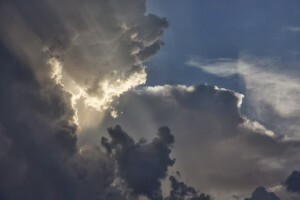 The file will upload to the Readium app. You can now read (and listen to) the ePub book. 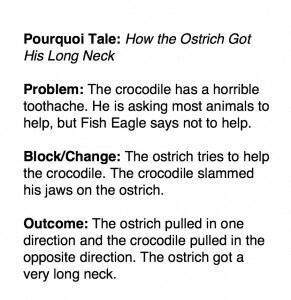 What is a pourquoi story? Ask Mrs. Garcia’s second graders and they’ll be able to tell you that it is a type of story that tells why something is the way it is. In fact, pourquoi means why in French. Rudyard Kipling’s Just So Stories is a classic work of this genre. Do you remember . . .? Many cultures have pourquoi tales that have been passed down through the ages. In a collaborative effort with technology and art, Mrs. Garcia’s students explored some of these stories using the “making smaller circles” principle. 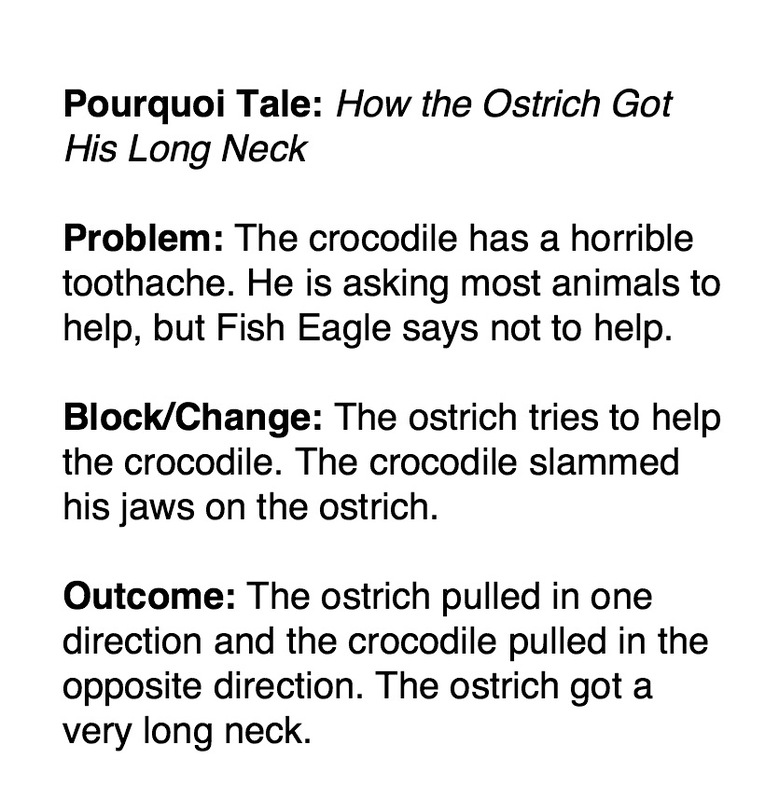 In Mrs. Garcia’s homeroom class, students practiced how to “zoom in” on pourquoi stories’ problems, blocks, and outcomes. In Mrs. Black’s art class, students focused on an aspect of a subject in the story to create artwork showcasing that “zoomed in” part. 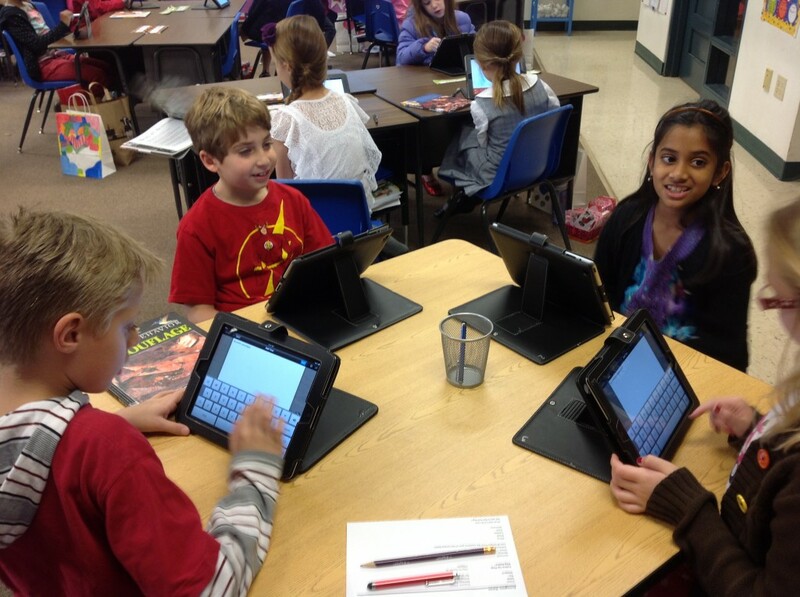 Using technology, students created and recorded a class ePub book with the Book Creator app. 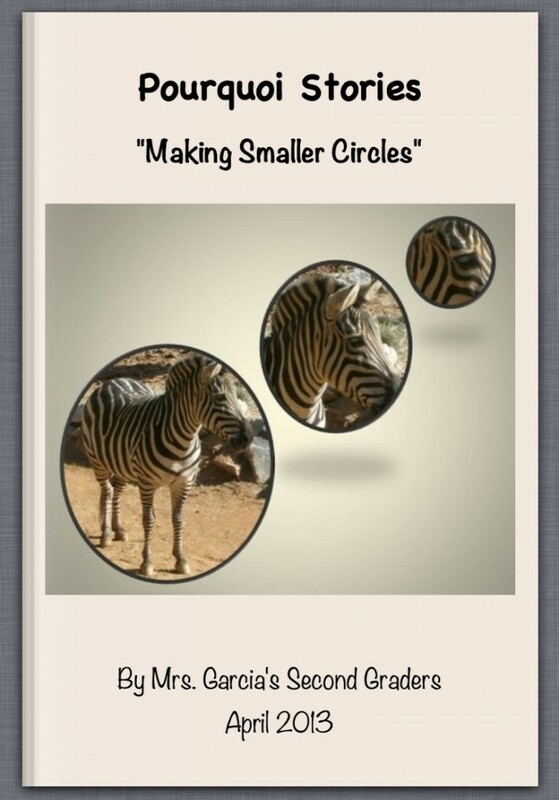 Using PowerPoint and an image from Pics4Learning I created a zoomed-in version of a zebra using the theme of “making smaller circles.” This became the book cover for the ebook. Mrs. Garcia, Mrs. Black, and I hope you enjoy the students’ view of pourquoi stories. One of our second grade teachers, Mrs. Shapard, wanted her students to research an animal to develop an understanding of what camouflage, prey, protection, and habitat means. She wanted the students to be able to share the information in a way other than the usual oral report. Mrs. Shapard chose to use the Book Creator for iPad app since it’s an easy way to make an ePub book. 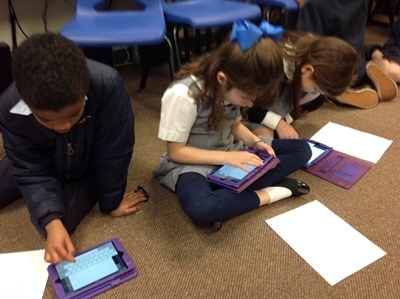 The app allows students to type text, insert images, and record narration. A new feature of the app allows users to make a book then email it. All books can then be combined to make one class book. Because we only have only one class set of iPads that can be checked out, the students just wrote a few basic facts for their individual books. We were able to get the set for two different class sessions. 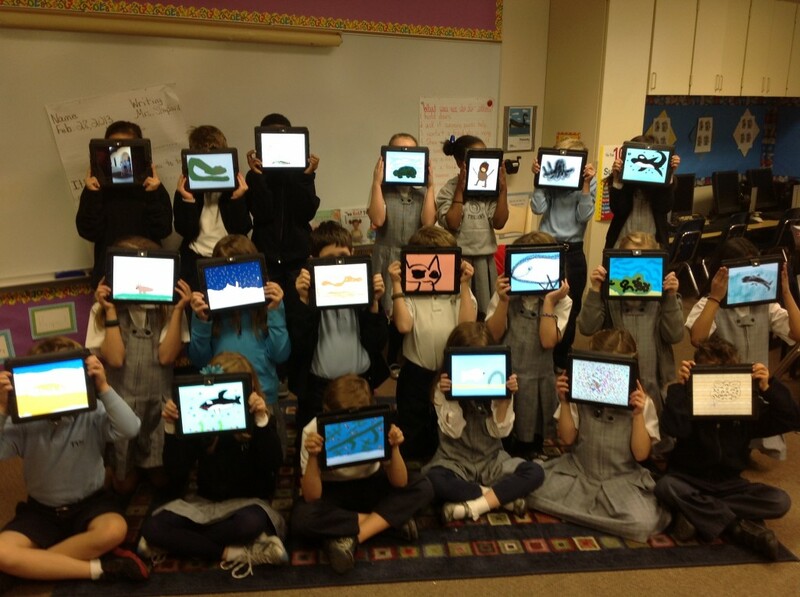 During the first session, the students were to use the Drawing Box app to draw two pictures: one of their animal and one of the animal in camouflage. Most had enough time to finish their illustrations. 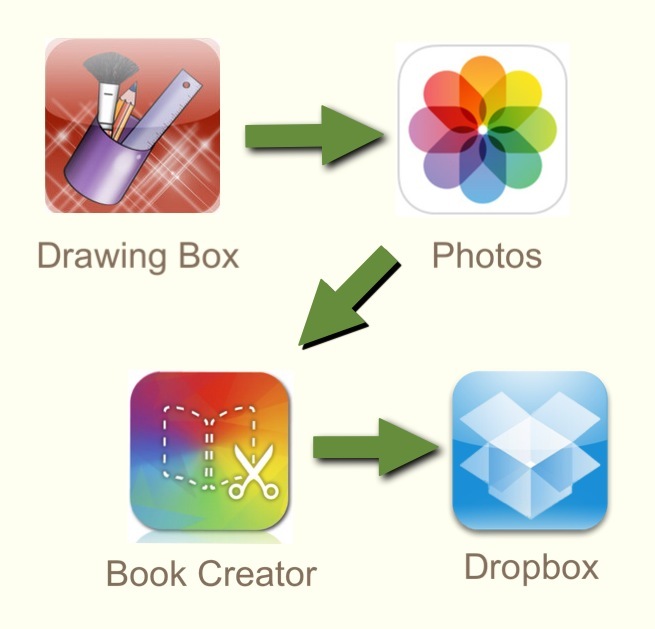 The next week, I started out with everyone following along as I discussed the tools in the Book Creator app. It’s such an intuitive app that there were few questions and as students discovered tools they shared information with their peers. After the students wrote the animal facts, formatted their text, and inserted their illustrations, they were ready to record. Again, the app makes this super easy! While students dispersed to various corners of the room, I took pictures for their author pages. Next step – email the book. All were sent to me and then combined into one class book. The only negative to combining books in the Book Creator app is that there is always an empty page between books (or at least I haven’t figured out how to avoid that). But, that’s a perfect spot for an “About the Author” page. Taking this picture was probably more difficult than any other part of the process! Every time we thought we were ready to snap the photo, someone’s screen would change to something other than their animal picture. That would be fixed, then it would happen to someone else. It was rather humorous! After dissolving into fits of laughter several times, we were finally able to get all screens showing an animal at the same time! We hope you enjoy this book from Mrs. Shapard’s class of animal lovers! Link to the class book: To read the ePub book, you must click on the book link below while on an iOS device with the iBooks app (i.e. iPad, iPhone, iTouch). The book will not open on a PC. Downloading instructions are below the book link. We hope you enjoy the students’ work! You will need the iBooks app installed on your iOS device. Click on the book link above. The book is now in iBooks. Always pre-write! The first day the students had the iPads, we had planned to only spend time drawing the two illustrations. 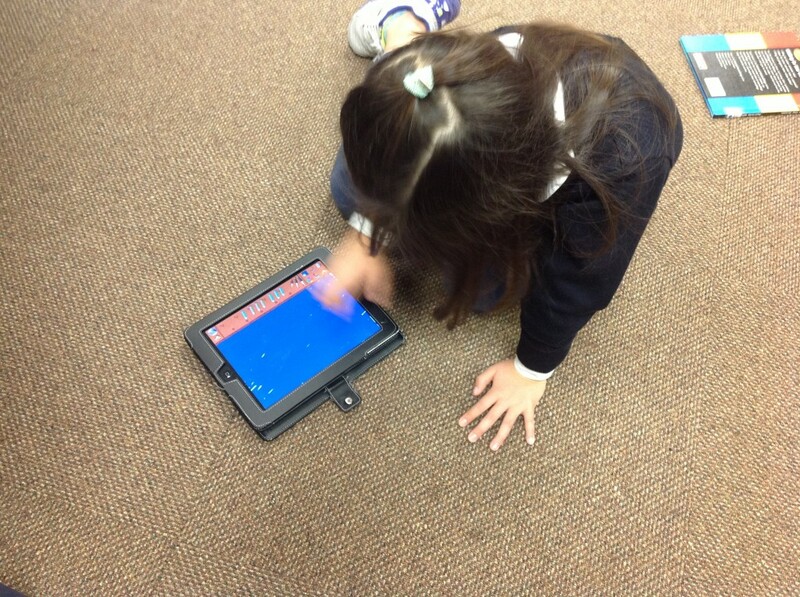 However, some students finished early so we let them go ahead and start writing directly in the Book Creator. The result was that we had all kinds of writing! Not everyone knew what they wanted to say and even though we had discussed where to write the information, there was no specific order. After class, Mrs. Shapard and I debriefed and decided that it would be best to have those who had started their book begin again. The students would write a rough draft in class and when they had the iPads again, would type the information into the app. 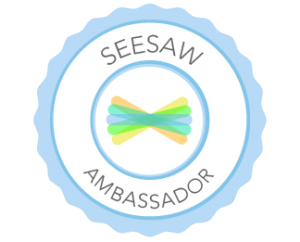 When we met again, there was a bit of groaning from the few who had started their book the week before but they quickly realized that their expertise was needed to help those who hadn’t had the chance to explore the app! Make sure students know how to save the illustration to the photo roll! All drawing apps are just different enough that exporting can be confusing. In Drawing Box, saving the image doesn’t automatically send it to the photo roll. There were a few moments of panic when students couldn’t find their picture but that was easily remedied! 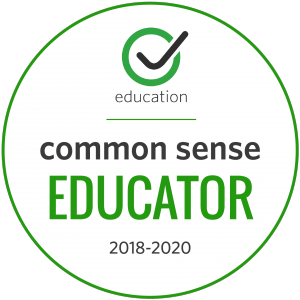 Use students as “teachers”! Students learn quickly and are invaluable in helping others who have questions; especially when a teacher can’t get there quickly to help! 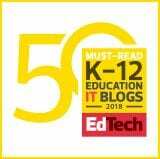 I so enjoy sharing what our teachers do with technology and, although I’m a bit late in posting this, it’s too good NOT to share! Before the winter holidays, Mrs. Cooper, one of our second grade teachers, wanted to build on her lesson of “Holiday Traditions Around the World.” Each year she reads the book, The Legend of the Poinsettia, by Tomie dePaola. The class discusses traditions of Las Posados in Mexico but this year she took it a step further. During the rereading of the book, Mrs. Cooper asked her students to draw a scene or a picture that came to mind as they were inspired by the simple gift that Lucida was able to give to the Baby Jesus in lieu of the beautiful blanket she intended to give. Mrs. Cooper chose to have the students do this on the iPads. Each student picked one of the drawing apps (Drawing Box, Art Set, or Color Box HD) and worked on their drawing as they listened to the story. When the drawings were complete, the students emailed the illustration to me (new experience and they did extremely well!). 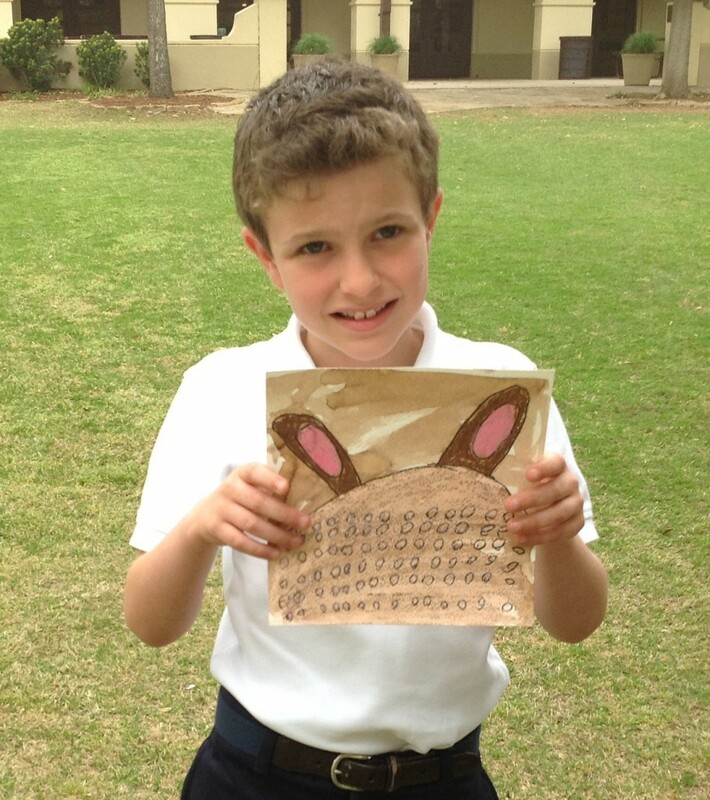 The next step was to write a statement about the meaning of a “gift from the heart” – this was done in their journals. I pulled everything together in the Book Creator app and then had the students record their voice as they read their statement. Book Creator is a wonderfully easy, yet powerful way to make an ebook to share with parents. 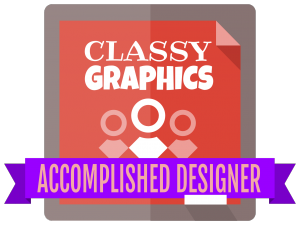 This was a class book made on a single iPad but it’s easy enough for students to do on their own! Here is a short video showing how Mrs. Cooper and her students went through the bookmaking process. 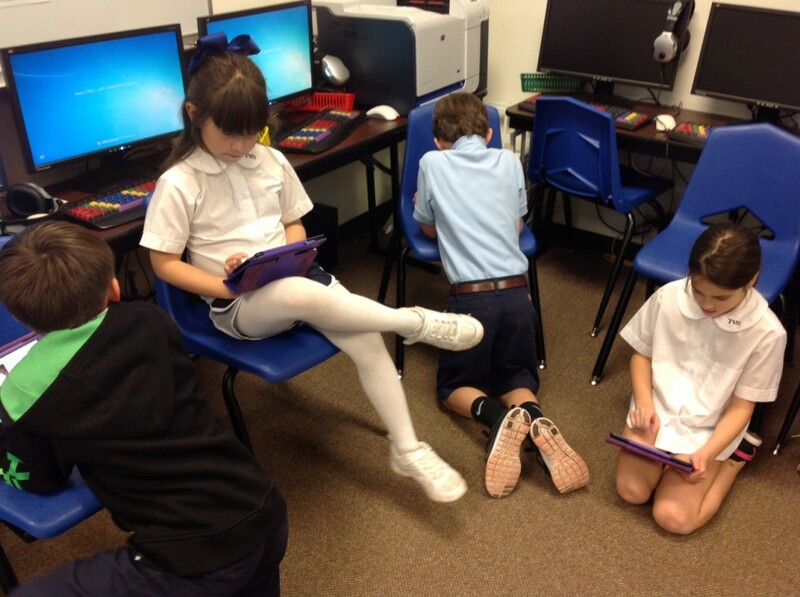 The Making of an eBook from Trinity Valley School on Vimeo. This was a fun and meaningful way to share student work with parents. It took a bit longer than planned – but only because the days before a long holiday are extremely busy! We weren’t able to finish the book till January but that’s alright! 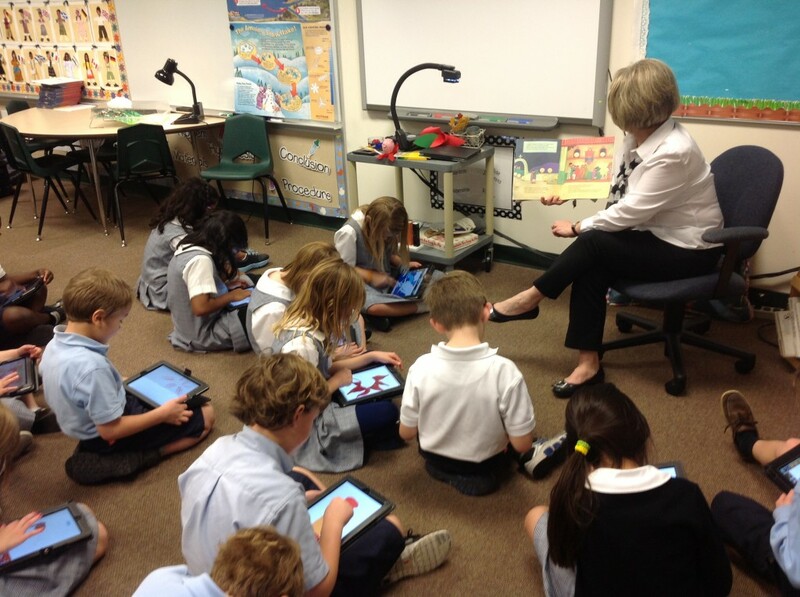 The students enjoyed the project and are thrilled that they have a book that they can read on their iOS devices. Link to Mrs. Cooper’s class book: The Book Creator app only allows you to open the ePub book on an iOS device that has the iBooks app (i.e. iPad, iPhone, iTouch); not on a PC. Downloading instructions are below the book link. We hope you enjoy their book! If you do not have an iOS device, click below for the PDF version. This is the print copy of the ebook. You will not be able to hear the recordings or view the video from this but you will be able to read the story. It started with a book . . I like to bring in literature as writing prompts. 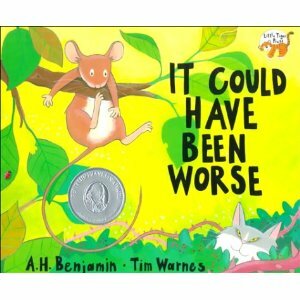 When the first graders came to the lab a couple weeks ago, I began reading It Could Have Been Worse, by A.H. Benjamin. It’s a wonderful book for making predictions and that’s just what we did! 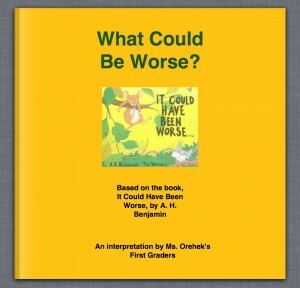 We just read part of It Could Have Been Worse, by A.H. Benjamin. 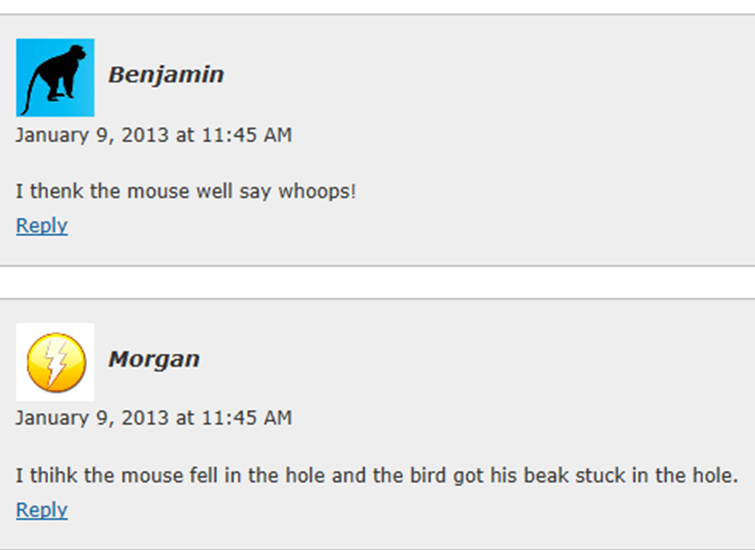 Poor Mouse is having a hard day! Write a comment about what you think will happen to the snake and to Mouse. What do you think will be the next “But it could have been worse!” part? After submitting their comments, the students used Microsoft’s Paint program to illustrate their prediction. When the students finished, I then read the rest of the book. We discussed our predictions and how to use clues in the story to help us as we predict what will happen next. The students truly enjoyed the book and blogging about their ideas! 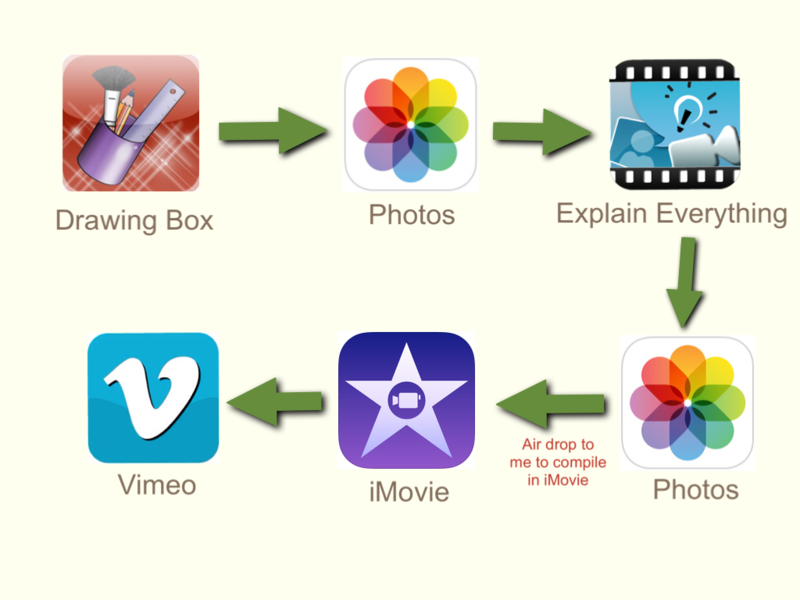 Having introduced the Book Creator app to our teachers, I wanted to take this idea a step further. In all my years of teaching, one of my favorite activities is to make class books with students. 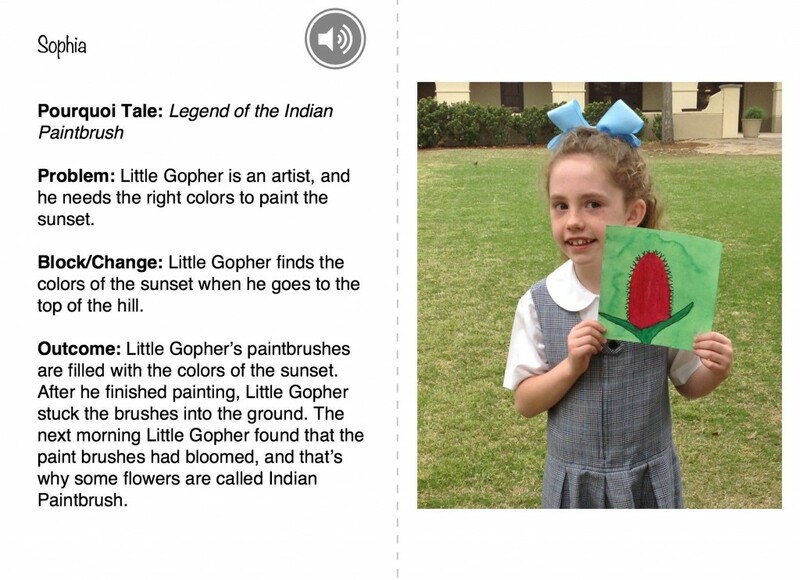 It is very exciting to now be able to make e-books where students can add text, images, and voice recording. 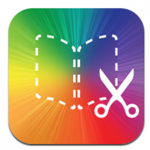 Book Creator is the perfect app for this and it’s extremely easy to use. I added the students’ images to the app, copied and pasted their blog comments, and then asked the teachers to supervise recording while I worked with the rest of the class in the computer lab. The process took just a couple of weeks, meeting just once a week in the lab! Links to the class books: The Book Creator app only allows you to open the ePub book on an iOS device with the iBooks app (i.e. iPad, iPhone, iTouch); not on a PC. Downloading instructions are below the book links. We hope you enjoy the books! After introducing our teachers to the exciting Book Creator app in our iPad Adventures workshop a couple weeks ago, the Kindergarten teachers and their assistants jumped right into it with their students. In fact, I think they had plans already under way before our workshop ended! 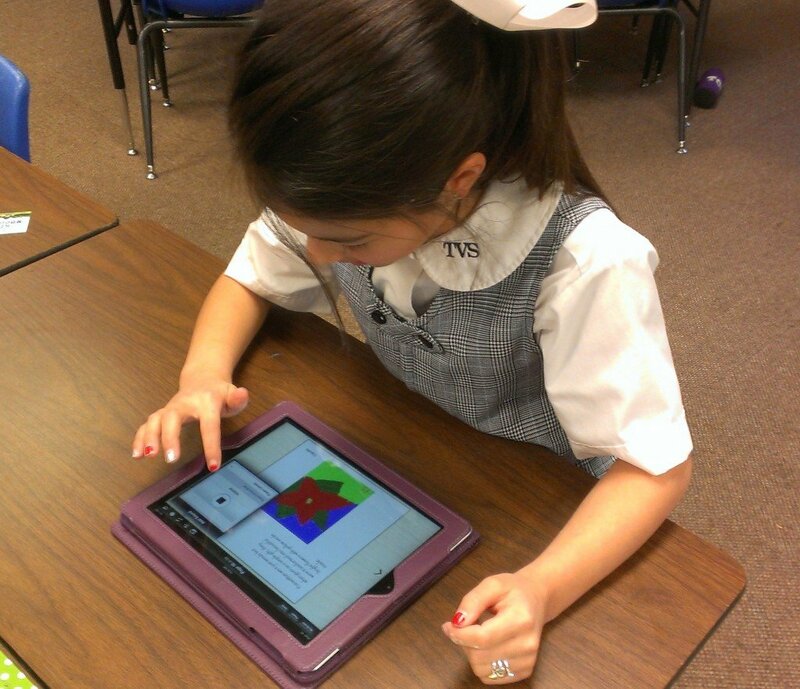 This app allows users to create a digital book that can be opened in iBooks. The best feature is the in-app recording. What a wonderful way to share with parents! Our kindergarten classes have been talking about neighborhoods and community helpers. All classes read A House is a House for Me, by Mary Ann Hoberman. 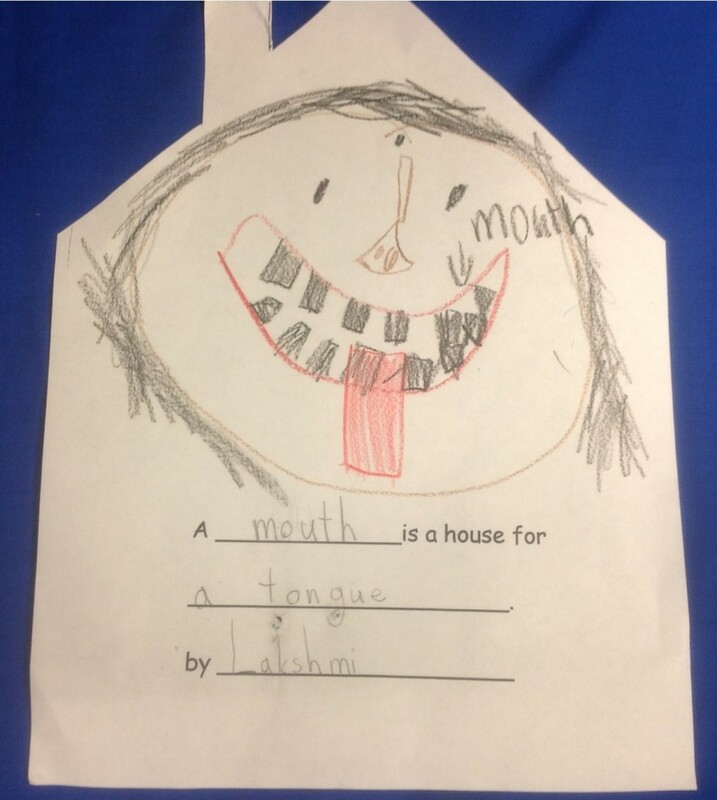 The students filled in: A ________ is a house for _____________. Next, they added illustrations to their house shape. The teachers used the iPad camera to photograph each child’s work. The pictures were added to the Book Creator app. Finally, the students’ sweet voices were recorded as they read their story. Below is the note one class (Mrs. Rea and Mrs. Morgan) sent to the parents. I’m sure the students and their families will treasure this forever!